Named during John Franklin’s First Overland Expedition (1819-22). A translation of its Dene name, the lake was first mentioned by Samuel Hearne. It was reached by Franklin’s party on September 1, 1820. Winter view captured by George Back on May 31, 1821. “At noon we reached a remarkable hill with precipitous sides, named by the Copper Indians the ‘Dog-rib Rock’.” – John Franklin’s First Overland Expedition (1819-22). Two lakes named after Franklin’s Yellowknives hunter-guide and his daughter, who led Franklin’s party from Fort Enterprise on his First Overland Expedition, 1819-22. Over the past three centuries, various European explorers contributed hundreds of geographic place names to the Northwest Territories that are still in official use to this today. The nineteenth century in particular saw a burst of Arctic exploration owing to rising commercial potential with the discovery of the Northwest Passage and new ship technologies that allowed better navigation of treacherous ice-bound polar waters. The most famous of these voyages, Sir John Franklin’s tragic 1845 expedition, subsequently became deeply etched in Canadian legend and national mythology. Over the next decade, numerous expeditions searched the Arctic for Franklin’s missing ships and continued the exploration, mapping and giving their own names to the Arctic landscape. Collected here are a series of vignettes and an accompanying map that reveal the names given by these expeditions to places throughout the Northwest Territories. As for Franklin, his two earlier overland expeditions left a lasting legacy of numerous place names that have also been included here. Sir John Franklin was born in 1786 in England and first came to the Canadian north in 1819 to map the Arctic coastline west of the Coppermine River in the hope of finding the highly sought after Northwest Passage. 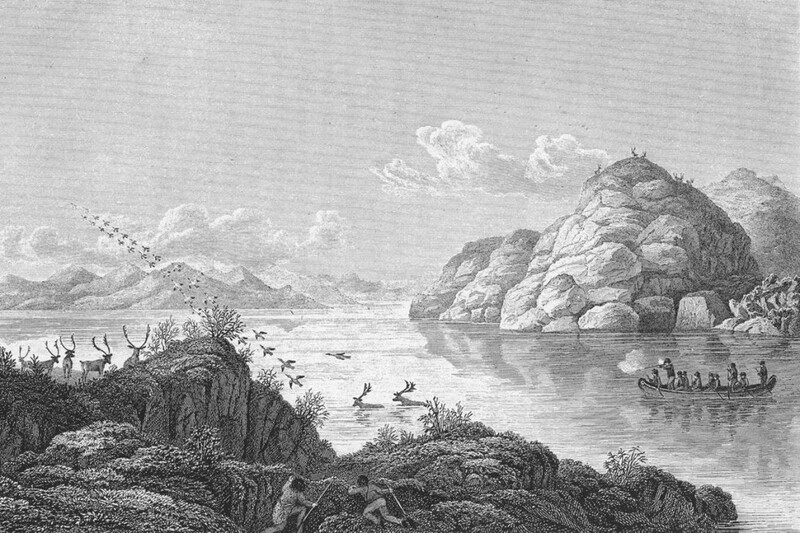 Franklin and his party set off with Aboriginal guides from Old Fort Providence on Great Slave Lake, travelled up the Yellowknife River to make camp at Fort Enterprise, about 59 km east of where Wekweètì is located today. From there they set off overland, eventually finding the Coppermine River and following it to the coast. Bad weather and approaching winter forced them to return to Fort Enterprise. The return trip was one of the most disastrous recorded in NWT exploration, as only 9 of 20 expedition members survived. 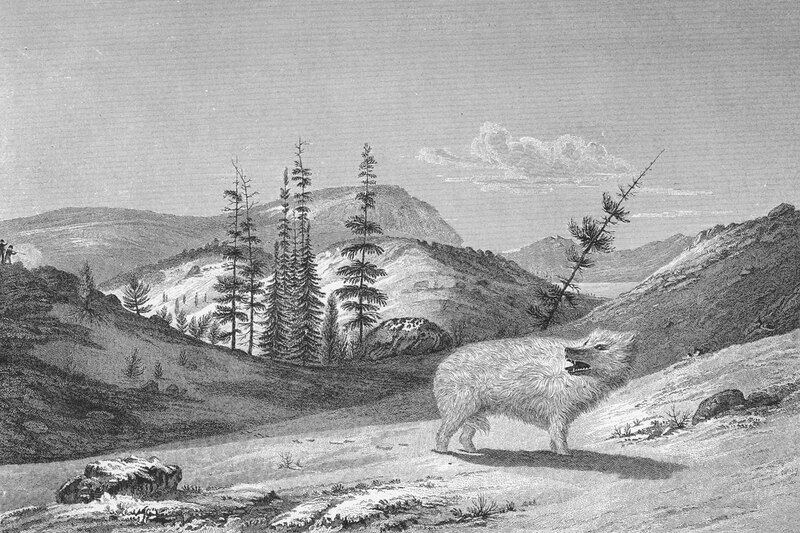 Franklin returned for a second overland expedition in 1825, this time to Great Bear Lake to map the western Arctic coast line. His party set off from their winter quarters at Fort Franklin, on Great Bear Lake, and travelled down the Mackenzie River as far as the Mackenzie Delta, where the party split in two. Dr. Richardson travelled east to the Coppermine River, and Franklin to the west, both carefully mapping the coastline as they went. Fearing the same result as his previous expedition, Franklin turned back early and the expedition ended with the loss of only one life. Many geographic features were given names over the course of Franklin’s two overland expeditions. Map source: Franklin, J. 1823. Narrative of a Journey to the Shores of the Polar Sea in the Years 1819, 20, 21, and 22. His last expedition, expected to be a triumphant success, ended tragically. Leaving England on 19 May 1845 with 24 officers and 110 men aboard the HMS Erebus and HMS Terror, Franklin sailed into the Canadian Arctic never to be heard of again. Last seen on 26 July 1845 in Lancaster Sound by whalers, Franklin’s ships were beset in the ice off of King William Island in September 1846. After two years of no word from the expedition the British Admiralty launched a series of search expeditions. Between 1847 and 1859, 36 expeditions searched for signs of the missing ships. Though these and later expeditions demonstrated that the expedition perished from starvation, the fate of Franklin’s ships remained a mystery until the dramatic discovery in 2014 of one of the ships in Victoria Strait. Though Franklin may have named features on this expedition, knowledge of them is lost to time. However, the search expeditions had a dramatic effect on Arctic toponomy. Please see some of the other vignettes for further information. John Rae, born in 1813 on the Orkney Islands, came to Canada in 1833 to work for the Hudson’s Bay Company. He spent 22 years in Canada and accurately mapped more miles of the Arctic coast line than any other explorer. In 1848, Rae was offered the position of second-in-command by Dr. John Richardson in the first search expedition for John Franklin’s party that went missing in 1847. 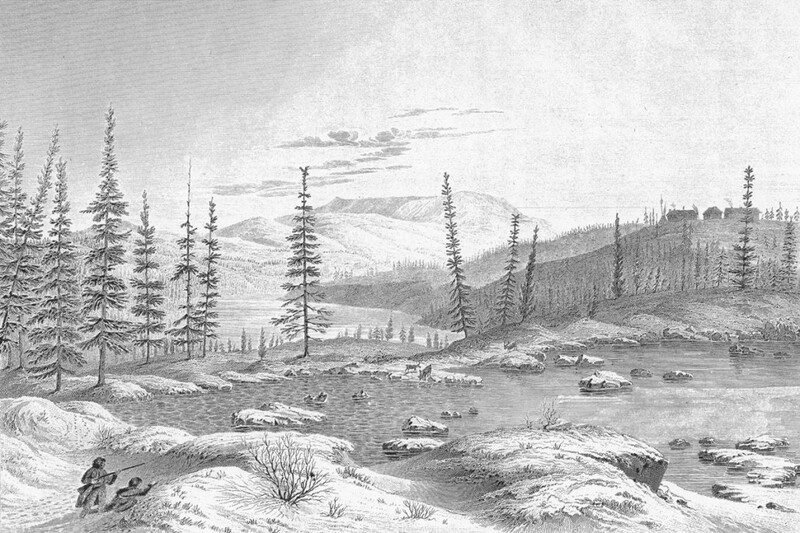 They travelled across the northern coast from the Mackenzie River eastward to the Coppermine River. Rae completed the expedition in 1849 with no trace found of Franklin’s party. Rae set out again in 1850 on another search expedition for Franklin’s party. This time he travelled over Victoria Island with sledges, then used boats to search the southern and eastern shores of Victoria Island. Rae’s search found some pieces of wood belonging to the missing ships HMS Erebus and Terror but no other clues. In 1853, Rae set out on his final search for the missing Franklin party. This time he searched the eastern Arctic shoreline, having to winter in Repulse Bay in 1854. Here he met Inuit who informed him that they had seen dead and dying men about four years earlier, clearly from the missing Franklin party, and he also was given silver plates and utensils engraved with Franklin’s and other crew members’ initials. With this knowledge, he did not continue his search, but instead travelled to England to present his findings. Rae’s report, which was made public by the Admiralty, included a statement made by his Inuit consultants that the last survivors of the stricken Franklin expedition resorted to cannibalism before perishing from starvation and exposure. This proved extremely controversial as Victorian mores found it unthinkable that British sailors would resort to such action and Rae was widely criticized publicly, particularly by Franklin’s wife, Lady Jane. Between 1846 and 1854 Rae made four expeditions to the Arctic, travelling more than 10,000 miles on foot or in small boats, while surveying about 1,800 miles of coastline. He left his mark by giving names to various geographic features along his way. Cook, Alan and Clive Holland 1978 The Exploration of Northern Canada 500 to 1920 A Chronology. Toronto, The Arctic History Press. Robert McClure was the commander of HMS Investigator and sailed with Richard Collinson and HMS Enterprise in 1850 as far as Hawaii before McClure took a different route into the Arctic waters. The Investigator sailed up Prince of Wales Strait where it became frozen in ice. Sledge parties left the ship and set out across the ice, eventually reaching Parry’s Viscount Melville Sound, linking their joint discoveries to form the North West Passage. In the spring, sledges mapped Banks and Victoria Islands before the Investigator managed to break free of ice. McClure was anxious to sail through the North West Passage, but ice packs prevented him from entering Viscount Melville Sound, so he sailed down Prince of Wales Strait hoping to round Banks Island and enter from the west. The ship became stuck in ice again on the north shore of Banks Island in Mercy Bay, where it remained frozen indefinitely. Many sledge parties were sent out to map and search for Franklin from the ship. One of the sledge parties left a message in a cairn, that as recovered by crews from HMS Resolute in 1853. Lieutenant Pim was sent to locate the McClure Party by Captain Kellett, and bring them back to the Resolute. On their return to England, they were forced to winter one more time in Barrow Strait. McClure and his expedition entered the Arctic from the west, and on board three different ships, made their way through the North West Passage. Upon their return to England, McClure was credited with the discovery of the North West Passage, though being criticized for almost creating a second major disaster. Neatby, L.H. 1985 Robert J.L. McClure (1807-1873). Arctic 38(1):70-71. Richard Collinson was the commander of HMS Enterprise and sailed with Robert McClure and HMS Investigator in 1850 as far as Hawaii before the two parties parted ways. Bad weather near Alaska forced the ship to winter in Hong Kong. Collinson finally entered the Western Arctic in 1851 and tried to meet up with McClure and the Investigator, but ice prevented him from advancing further north through Prince of Wales Strait and he was forced to winter on Victoria Island. In 1852, they sailed along the southern shore of Victoria Island and wintered in Cambridge Bay. 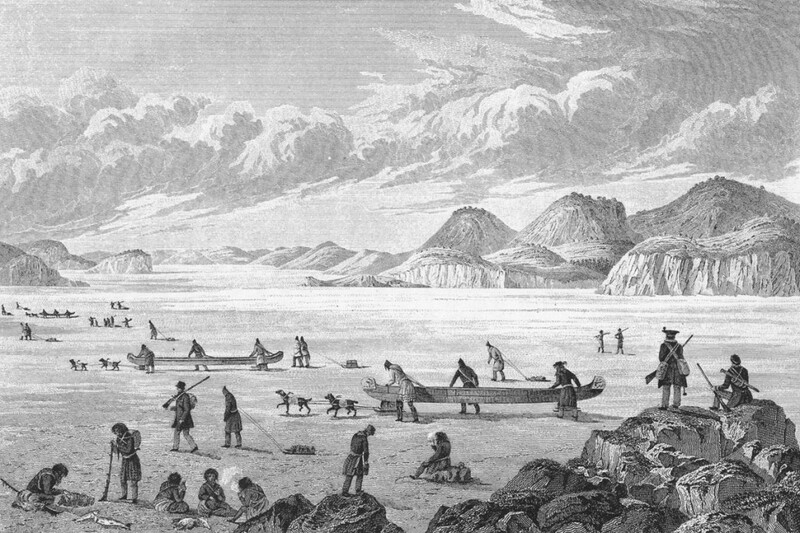 A sledge party traveled as far as Point Pelly on the east coast of Victoria Island. At this time, the expedition also encountered Inuit who seemed to indicate that a ship could be found if they journeyed further east. If they had understood what the Inuit said, they could have traveled to King William Island and discovered the fate of the Franklin expedition or even rescued survivors. The following year they returned to Alaska, and continued onward to England in 1854. Edward Belcher set out from England in April, 1852 in general command of five ships – HMS Assistance, Pioneer, Resolute, Intrepid and North Star. While Belcher served as Captain of the Assistance, Sherard Osborn was in command of the Pioneer, Henry Kellett, the Resolute, Francis McClintock, the Intrepid, and William Pullen, the North Star. These ships were tasked with continuing the search for Franklin and to bring supplies to Melville Island for Richard Collinson (HMS Enterprise) and Robert McClure (HMS Investigator), who had left England in 1850 in search of Franklin. Collinson and McClure had entered the Arctic from the west, via the Bering Sea, while Belcher’s expedition approached from the east, via Lancaster Sound. The five ships under Belcher’s command separated at Beechey Island, Nunavut; Belcher and Osborn sailed along the west coast of Devon Island before they were forced to overwinter because of ice conditions. Kellett and McClintock said to Melville Island in search of HMS Investigator, while Pullen remained around Beechey Island. Over the course of 1852 and 1853 numerous sledge parties were sent out from the ships to explore the area in hopes of finding any signs of Franklin or McClure. They covered vast distances covering significant portions of Banks, Melville, Prince Patrick and Victoria Islands, still with no signs of Franklin. Though Collinson returned to England in the Enterprise, McClure spent two winters beset in the ice at Mercy Bay until 1853, when a sledge party from the HMS Resolute found them. McClure ordered his crew to abandon the HMS Investigator in June 1853 and they joined HMS Resolute at Melville Island. In 1854 Belcher abandoned HMS Assistance and Pioneer to join HMS Resolute, which was eventually abandoned as well, forcing all the crews to return to England later that year on HMS North Star and two other supply ships. The crews of these ships covered great distances of the western arctic, travelling by sledge parties, their efforts are recognized today by the many places they named along the way. Sir (Francis) Leopold McClintock (1819-1907). Francis McClintock, born 1819 in Ireland, spent a great many years of his life in the Canadian Arctic and perfected sledge travel across the North. In 1847, he served as second-lieutenant aboard HMS Enterprise on James Clark Ross’s naval search for the missing Franklin party in the Central Arctic, returning to England in 1849. In 1850, McClintock returned to the Arctic on another naval search party under the command of Captain Erasmus Ommanney aboard HMS Assistance. McClintock led a major expedition with the sledge Perseverance in the spring of 1851 covering a total distance of 1,240km across the Arctic. His hard work paid off and he was granted command of HMS Intrepid in 1852 and sailed with Captain Henry Kellet on the HMS Resolute to Melville Island to search again for the missing Franklin party. McClintock was given command of the sledge Star of the North and travelled across Melville Island, reaching Prince Patrick Island, Eglinton Island and Emerald Island for the first time. His sledge party travelled a total distance of 2,154km in the spring and summer of 1853 but found no traces of Franklin’s party. With his return to England in 1854, McClintock was appointed post-Captain in the British Navy. 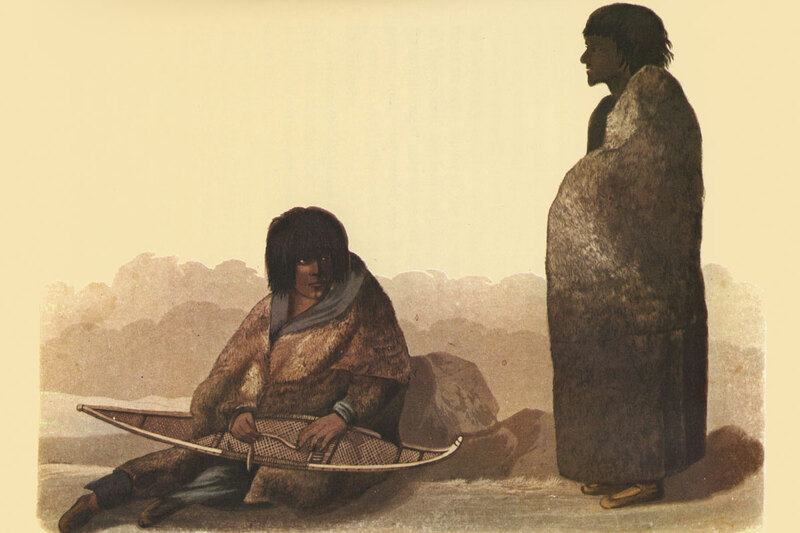 In 1857, Lady Jane Franklin, wife of the missing John Franklin, organised a search party to investigate the information John Rae had been given by Inuit near Kugaaruk about seeing dying men near King William Island. She hired McClintock to captain her vessel the Fox. This trip proved to be successful in confirming what Rae had already found out, collecting items that were from the missing ships, and locating some bodies of crew members. Upon returning to England, McClintock was proclaimed the solver of the Franklin disappearance. He also left behind names for various geographic features along his treks in the Northwest Territories. Winter Quarters of the Assistance, Resolute, and Intrepid. Drawn by George Mecham, 1854. George Mecham was born in 1828 in Cork, Ireland. In 1850 he was appointed third lieutenant on HMS Assistance, under the command of Captain Erasmus Ommanney in the 1850-51 search for the missing Franklin expedition. Mecham travelled by sledge, leaving depots of supplies for Franklin and the other sledge parties. In 1852, he returned again to the Arctic and was appointed lieutenant to Captain Henry Kellett on HMS Resolute who was travelling with Francis McClintock. Mecham set off by sledge, depositing caches of supplies, and found a note deposited by McClure at Winter Harbour, the first news of McClure’s missing expedition. Mecham travelled around Melville Island, Eglinton Island, Emerald Island and, Prince Patrick Island; and by the end of the summer of 1853 he had travelled over 2,150km by sledge and given many geographic features their current names. Aboriginal guides and Canadien voyageurs were essential to opening up the Canadian North. Many were hired to help guide European travellers who wanted to map and explore the vast area. Without them, the travellers would have had a much rougher journey, and many would have perished. These people knew the land and how to live from it, they provided food, led the way, endured heavy labour, and kept the exploration parties safe. To mark their significant contribution to the expedition, those in charge often named geographical features in their honour and over 50 of such names are recorded in the Northwest Territories.